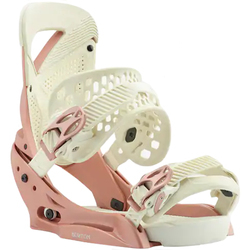 Snowboard bindings come in many different materials and types, and the right binding greatly enhances your performance and comfort on the mountain. 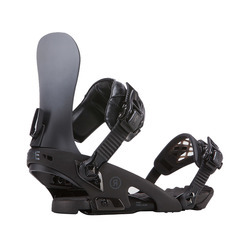 Bindings should have a precise amount of flex to pair with your boots and prepare you for the terrain you ride. Stiffer bindings are for more advanced riders and aggressive riding, while softer ones are better for beginners. 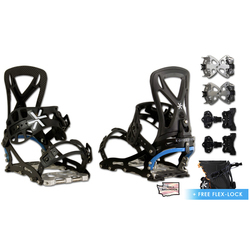 Optimum quality bindings are made from lightweight and shock-absorbent materials. 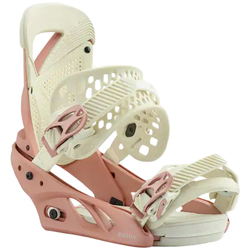 Distinguished binding brands for women include Union, Nikita, Gnu, Burton Snowboards, K2 Snowboards and Salomon Snowboards. They come in a multitude of color options to suit different personal styles and boot colors, such as purple, pink, white, yellow, blue, black and multicolor choices.